Aug 24, 2017 @ 11:45 AM — by Sharon B. Mateja, D.D.S. Believe it or not, you can in fact brush your teeth incorrectly. If you brush your teeth too hard or too forcefully, it can lead to varying degrees of dental damage. The team at our Rancho Cucamonga practice sees this often, and rather than use restorative dentistry treatments to address the damage done, we believe in proper patient education and prevention. It's not difficult to determine if you are brushing your teeth wrong. Here's a simple guide: if your teeth feel tender or sore after you brush your teeth, or if your gums are bleeding after you've brushed your teeth, you're likely doing more harm than good. Let's look a the dangers of aggressive brushing and what can be done about it. Brushing your teeth in a forceful manner can actually do damage to the tooth enamel. The enamel may wear down or wear away because of aggressive tooth brushing, revealing the porous dentin layer underneath. This wearing away of the tooth enamel can lead to increased tooth sensitivity, especially to hot and cold temperatures. The wearing down of the tooth enamel can also lead to teeth that are weaker and more likely to chip, crack, or fracture. There's a greater risk of tooth decay and root canal infection as well, which could mean tooth loss or tooth extraction if these issues are not dealt with in time. In addition to damaging the teeth, aggressive brushing can lead to serious harm of the gums and the gumline. When your gums bleed or are injured, it's likely to cause gum recession. This refers to the loss of gum tissue and the exposure of the tooth roots. Gum recession can lead to an increased risk of tooth decay below the gumline, which is difficult to treat. Severe gum recession also means tooth sensitivity and loosening of the teeth, making tooth loss much more likely. It should be noted that aggressive flossing can lead to similar issues with the overall health of your teeth and gums. Tooth enamel can be worn away, and gums can be injured and recede when a person flossing too forcefully. Sore teeth and bleeding gums are also a telltale sign of bad flossing practices. When treating dental damage caused by aggressive brushing, there are many restorative dentistry options to consider. Dental restorations may be used for damage teeth, and endodontic therapy may be performed if a patient develops a root canal infection. To address gum recession, gum grafting may be recommended to rebuild the gumline. 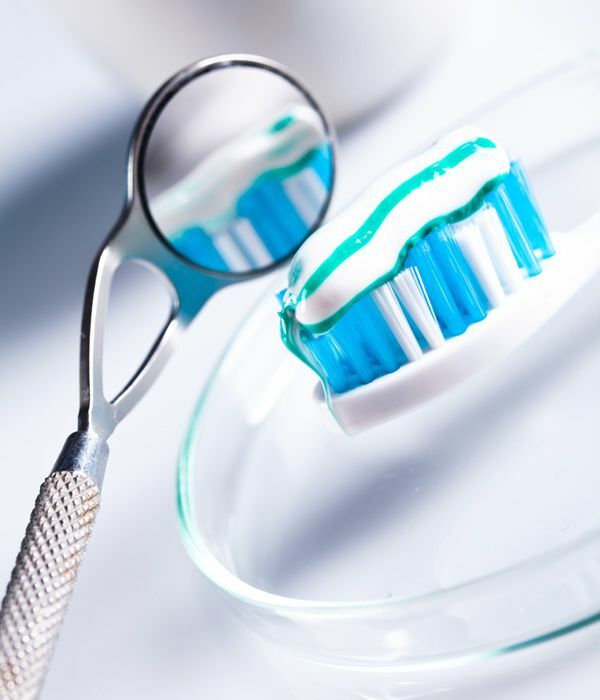 For more information about proper oral hygiene and enhancing your dental health, be sure to contact a cosmetic and restorative dentistry center today. We can discuss a variety of topics related to dental wellness, helping you have a smile that looks great and lasts for years to come.